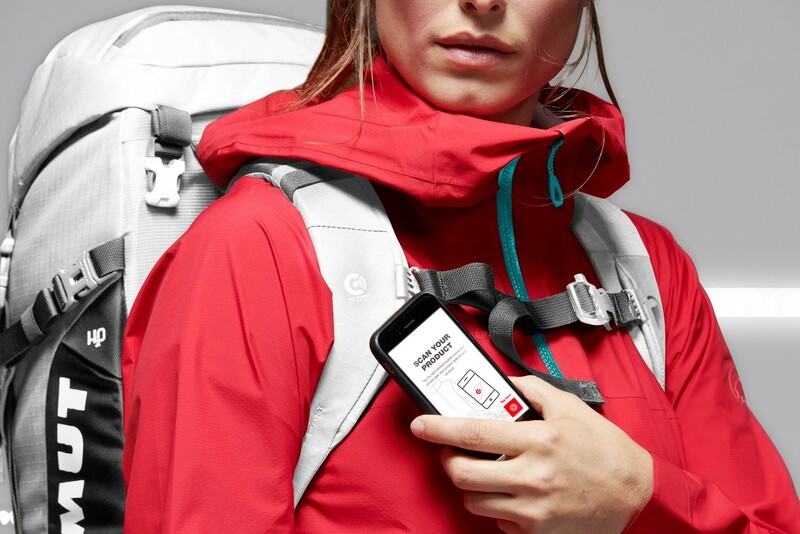 Mammut Connect is a new way of bringing emotional and interactive product information to the consumer and offers access to services on an App enabled through NFC technology. The App and its content support retail channels with in-depth product information to enhance the sales process. By doing so, Mammut supports wholesale in transformation from Point of Sale to Point of Experience, by guiding it into digital age – a joint transformation. Mammut Connect offers services and after sales offers for unique consumer experiences which again offer new ways of collaborations with retail partners. In the three main parts of the App – My Product, My Inspiration and My Activity – consumers find a Mammut world full of inspiration. Mammut Connect offers a unique experience oriented platform for outdoor enthusiasts including an innovative, emotional and interactive presentation of product information and services, great after sales care with offers like the possibility of warranty extension, videos and stories for a virtual brand experience and exclusive event invitations to outdoor experiences in cooperation with retail partners. In My Activity, consumers have the possibility to collect their unique outdoor experiences in a personal summit diary at one point and they can share those with the community. The Mammut Connect App will be available in your App Store on January 15, 2019.